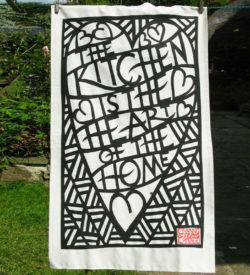 ‘The kitchen is the heart of the home’ design started out as a hand crafted paper cut. 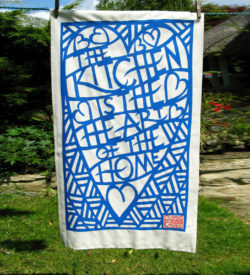 Screen printed on to 100gsm cotton fabric and hemmed on both of the long edges with the selvedge running across the two shorter sides. Measures 47cms x 80cms. 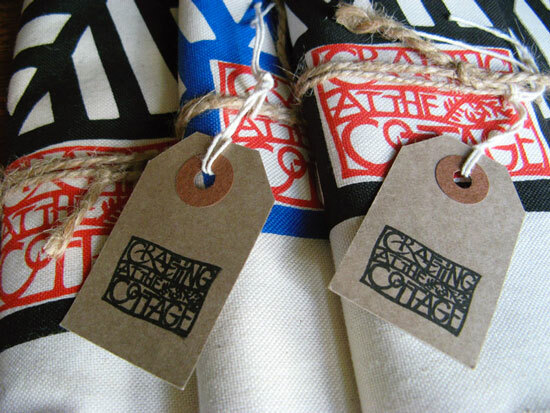 My “Crafting at the Cottage” logo features bottom right as a dash of spot colour.